Ready for the puck drop? 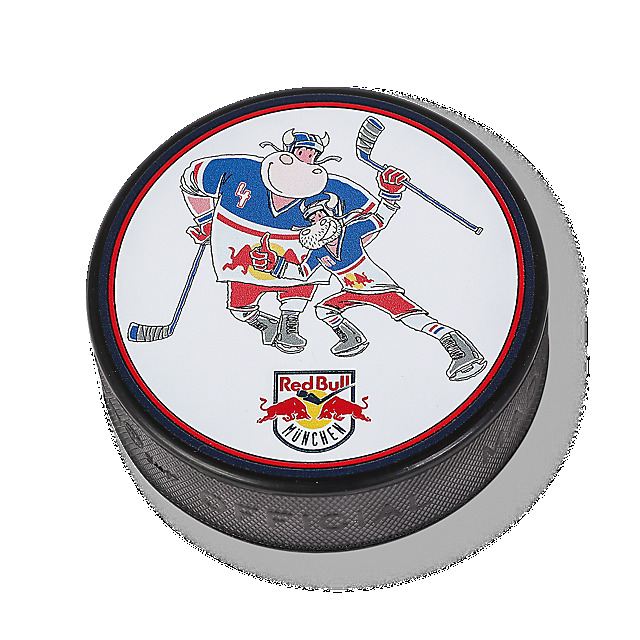 This colourful rubber EHC Red Bull München puck features the team's mascots, the Hockey Bulls, to inspire hockey fans and players at all levels to get on the ice and play. Game on!